Usually when people think of stenographers, they picture them working in a courtroom setting. But a stenographer’s specialized skills play a critical role in a wide variety of industries and workplaces. The world of a stenographer can be fun-filled with plenty of opportunity for adventure. Let’s take a look. Stenographers have played an essential role in government since Thomas Lloyd, stenographer and “Father of American Shorthand,” reported on the very first session of Congress in 1789. Today, the White House, Congress, and the Supreme Court all employ teams of stenographers to document the State of the Union address and other pivotal speeches. They also work in the Pentagon and military installations to record tribunals and court martials. The Telecommunications Act of 1996 required that television and cable programming be closed-captioned for the hearing-impaired. This created a sizable and ongoing need for trained captioners to create closed captions for both recorded and live functions. These include sporting events, news broadcasts, and programming during emergencies or natural disasters. Stenographers may perform this work for national and local television stations, broadcast service providers, nonprofit organizations, private businesses, and much more. Athletes hate to be misquoted. That’s why sports organizations such as the Indian Wells Tennis Garden employ stenographers like Linda Christensen, who has worked at numerous tennis tournaments for more than a decade. Transcribing the speech of leading tennis stars from Spain, Serbia, Russia, Australia, and other countries makes her job interesting and challenging. As Christensen said in a recent interview, it even means dealing with some brand new additions to the English language. “A lot of the Spaniards and Argentines will say, ‘I had pression’ when they mean ‘pressure.’” With stenographers needed for almost every competitive sport around the globe, there are many options for those interested in a career in sports or who want to travel. 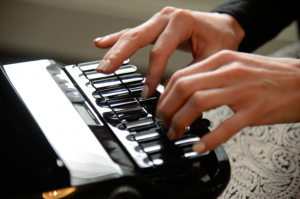 Stenography continues to evolve as technology advances. For more than 80 years, Stenograph has been the trusted source of products, software, support, and training for professionals in court reporting, transcribing, and captioning. 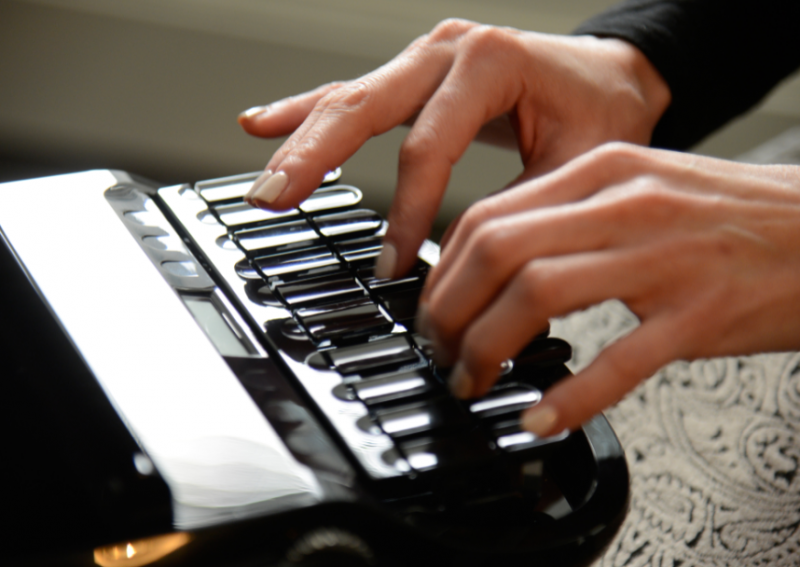 Learn more today about where a stenography career could take you. Who knows? With the right skills, hardware, and software, you could find yourself working in the halls of Congress, at a national television network, or covering some of the world’s largest sporting events!